We here at Smileville Family Dental Center are firm believers in that preventative care is of the utmost importance. Our preventive dental services include periodic oral examinations, preventive periodontal treatment, fluoride treatment and tooth sealants. We perform periodic exams on a regular basis on our patients to determine if they a change in oral health since their last evaluation. We check for tooth decay, gum health and oral cancer screenings during our exams. Periodontal disease can have systemic effects on the body and as a first line of defense, we use preventive and non-surgical treatments to eliminate gum infections and plaque buildup. Fluoride treatments help prevent tooth decay by making the tooth more resistant to acidic attacks caused by plaque, bacteria and sugar. Sealants protect the grooved and pitted surface of teeth, especially the chewing surfaces on back teeth. Food and bacteria build up in these crevices, endangering the tooth of eventual tooth decay. Sealants do exactly what they say and seal the tooth from food and plaque, in turn reducing the risk of long-term tooth decay. 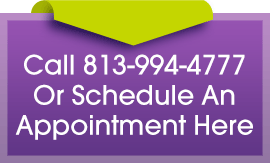 We specialize in a wide variety of preventive dental procedures. Contact us today to schedule an appointment.